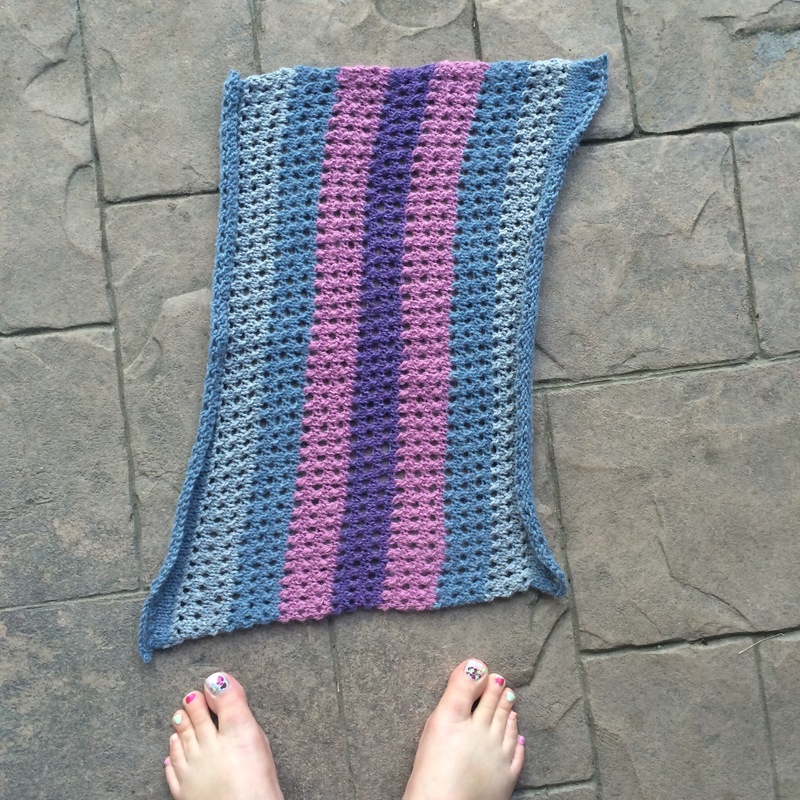 Cast on seventy or eighty stitches. 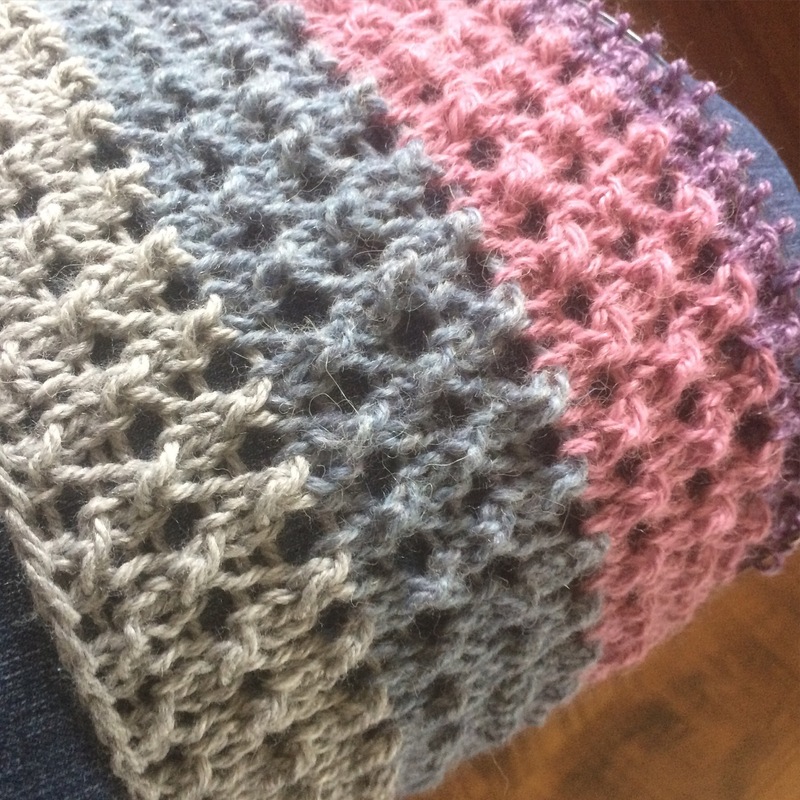 First, second, and third rows—plain knitting. Fourth row—bring the wool forward, knit two together, taken at the back.—Repeat to the end of the row. Repeat these four rows, until the piece be about eighteen inches long, admitting that the shading comes in correctly. Two No. 8 needles are required, and double German wool, in four distinct shades to match the colour of sable. Commence with the lightest shade,—then the second, third, and darkest, reversing them again to the lightest. The pattern calls for No. 8 needles, which are equivalent to 4.5mm needles, according to the Lambert Filiere. 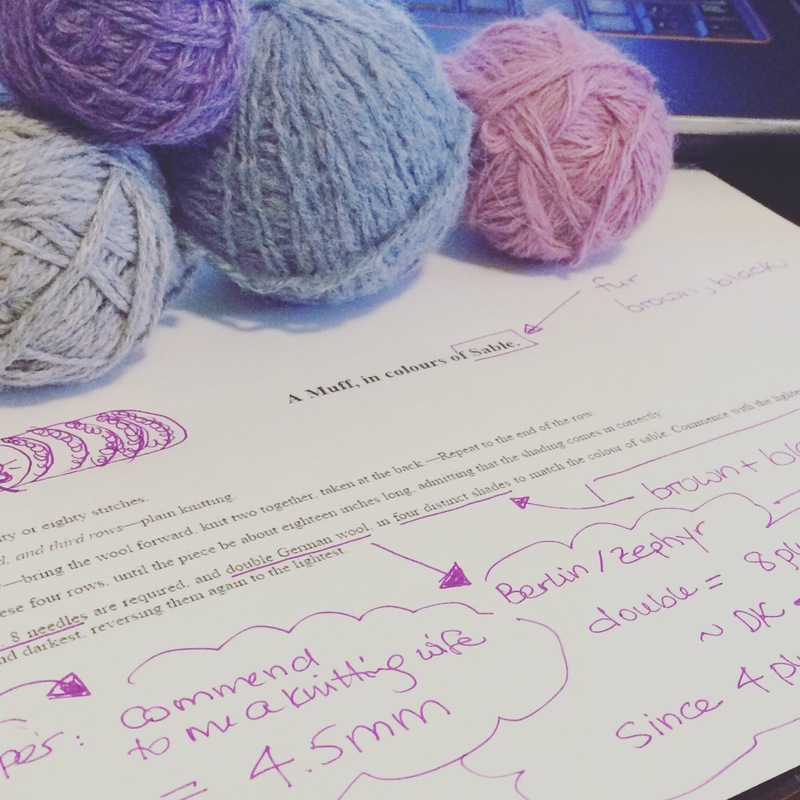 Double German wool is required for the pattern, which is approximately equivalent to modern day DK weight yarn. 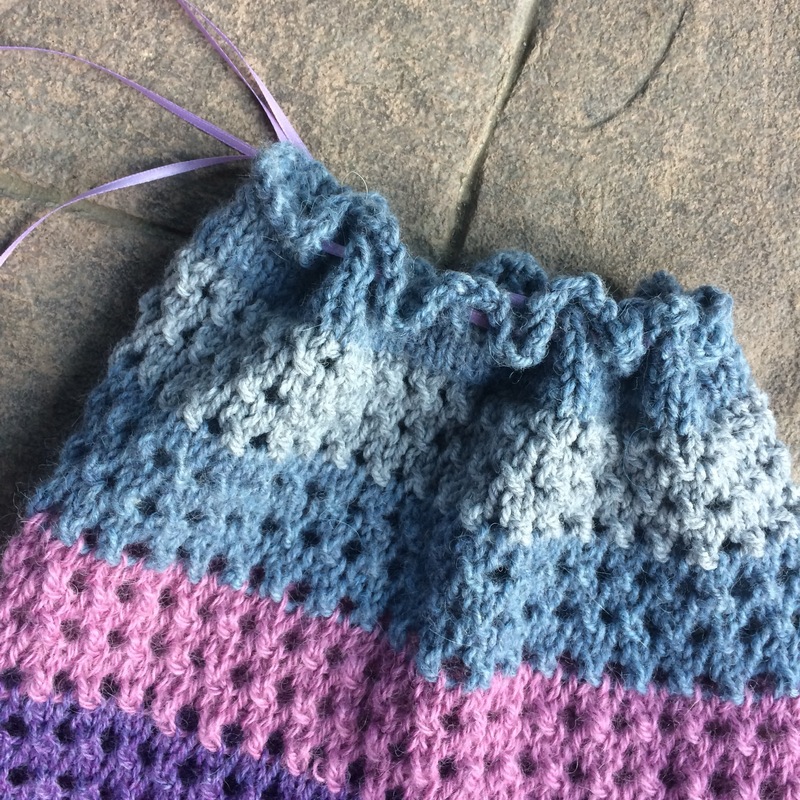 Although the pattern suggests that the colours of Sable be used, presumably to mimic a more expensive fur muff with blacks and browns; I chose to use up yarn from my stash and ended up with shades of blue and purple instead. I originally planned to sew up a muff and place the knitted fabric onto it and quite honestly could not get around to doing it. Instructions for sewing a muff for a knitted fabric are not easy to find, and I was really not 100% certain how to go about it properly. 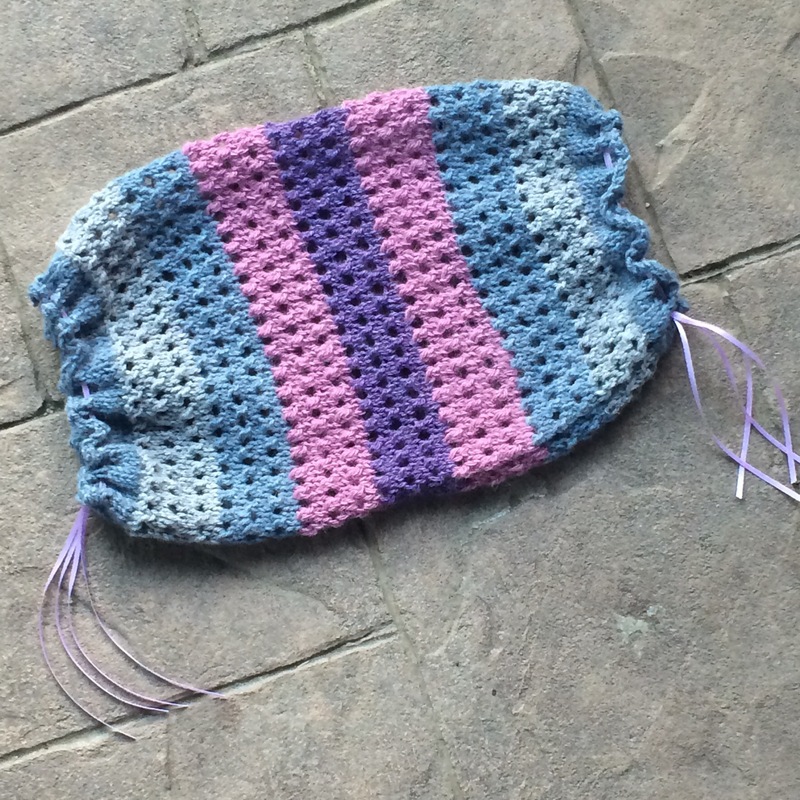 I hope that this has given you an idea of the shape and pattern of the finished object. If you know of any references for a sewing pattern for an 1840s era muff that would have gone under a knitted cover, please let me know in the comments below! 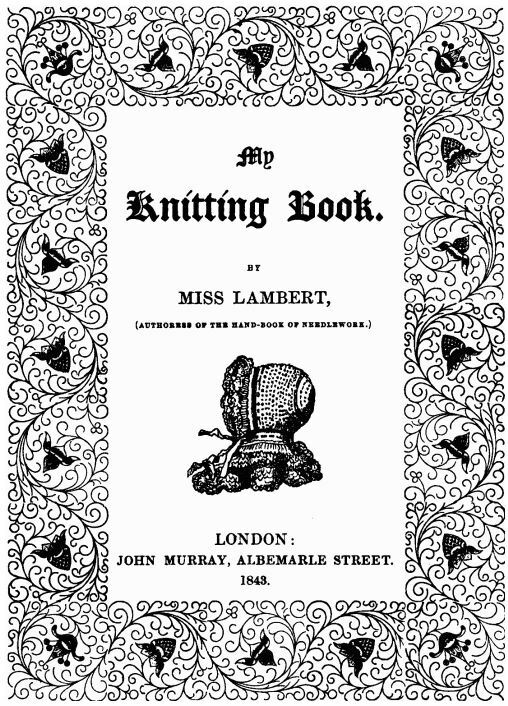 Please feel free to share this blog post with friends and others who might be interested in knitting from Victorian era patterns using the links below.